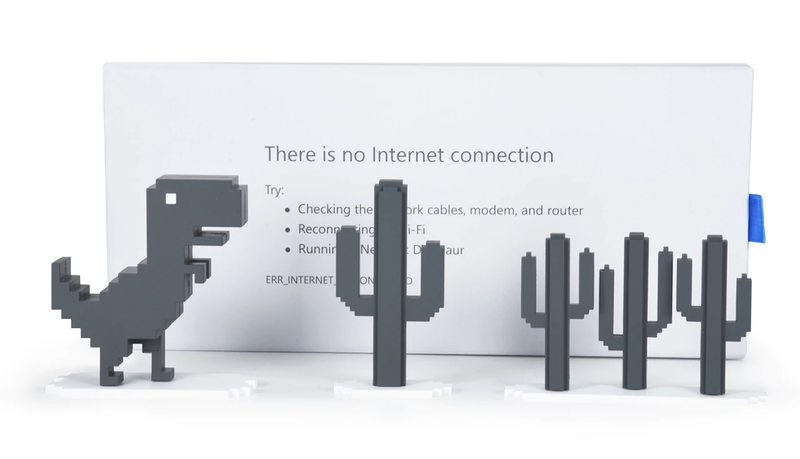 The box also has that familiar and ultimately useless checklist of things to try when the internet is down. On the opposite side, it has the game over screen from the dino endless runner you can play while waiting for the internet to come back. By the way, you can play that by going to chrome://dino. Dead Zebra will begin sales of the set on Monday, March 11th at 11AM EDT. It'll retail for $24, and most of the AP team is planning to buy it.